Fire Awareness training for anybody working in the care sector. Crucial health and safety information regarding risk assessment, fire signage and emergency procedures. Ideal for hospitals and care homes. Fire Training is a legal requirement, whatever sector you work in. This course has been produced specifically for people working in the Care sector, and is suitable for all levels of personnel within Hospitals, Care Homes and other environments. This online Fire Awareness Training in Care course covers a variety of topics, including an introduction to fire hazards; a guide to common fire signage; and what to do in the event of an emergency. Due to the nature of staff responsibility within Healthcare, this fire training looks at the correct way to plan and implement an evacuation, as well as perform adequate risk assessments. Thousands of Care professionals already use iHASCO eLearning: Assess the suitability of this course by requesting a free trial below. The Fire Awareness Training in Care course is broken down into 5 sections. In order to ensure your hospital, ward or care home is equipped to mitigate the risks posed by fire, it's important to understand how fire spreads. This introductory chapter looks at how fire starts, grows and spreads; it also explains what we mean by the 'Triangle of Fire' and examines the potential costs and causes of fire in Care settings. There are several common signs that are used to communicate the hazards and procedures associated with fire. This section of the training runs through common fire signage and explains their meaning. This chapter looks specifically at areas of high risk within common healthcare environments: here we explore common fire hazards in hospitals and care homes. Here we examine which procedures should be followed in the event that you discover a fire. This chapter also explains how to conduct appropriate risk assessments, and how this must take into account those who are at particular risk within the Care environment (patients etc.) Personal Emergency Evacuation Plans (or, PEEPS) are also covered. The major part of this section looks at the different evacuation strategies which may be appropriate depending on how ill or infirm the people being cared for may be and how much help they may need. 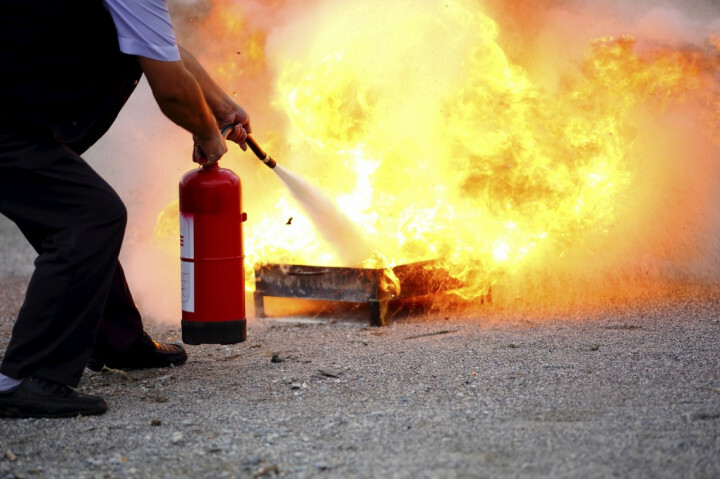 The final section of this course looks at the different types of fire extinguishers, as well as when to use them. Video content helps guide you through this final chapter before the end of course test. This Fire Awareness Training (Care) course concludes with a 20 question multiple choice test with a printable certificate. In addition, brief in-course questionnaires guide the user through the sections of the training and are designed to reinforce learning and ensure maximum user engagement throughout. Your Fire Awareness (Care) Certificate includes your name, company name (if applicable), name of course taken, pass percentage, date of completion, expiry date and stamps of approval or accreditations by recognised authorities. Based on 52 real user reviews. Found it easy to follow and listen too, very interesting information given. I found the extinguisher section quite difficult to take in and remember. The chart format was ok and i'm not sure how it can be improved as this is a complex thing to understand! Something more interactive might be good. The course was a clear and understandable introduction to fire awareness, types of fire, different extinguishers and the need for fire safety planning. Unfortunately the virtual room exercise did not function when I completed the course. A dry subject / topic made easy to follow. Useful and interesting information delivered in a professional manner. I thought that it was great that the online training has written explain which i was be able to read instead. Due my deafness i cant use video to listen. Clear, concise information delivered in manageable sections that allow it to be viewed either in one go or in stages. Enjoyed the course. Video picture was freezing at times however I think this was due to my internet connection. Read our full reviews for Fire Awareness Training in Care. The Regulatory Reform (Fire Safety) Order 2005 requires there to be a 'responsible person' to ensure that employees are given sufficient fire safety training.